Seventy-four travel partners from 14 countries qualified for Crystal's first million-dollar sales gala. Thirteen of them sold at least $2 million and five topped $5 million. That's impressive, especially since 2017 was what SVP Marketing/Sales Carmen Roig called a "painful year," for Crystal, with new technology -- the migration to the Seaware reservations system -- new processes and new river and air experiences. There was management turnover, too. Leadership swung from the charismatic, marketing-oriented Edie Rodriguez to the understated, operations-savvy Tom Wolber, who brought 28 years of experience from The Walt Disney Co. Since last year's gala, several executives have departed, including stalwart Thomas Mazloum (COO) and Christian Sauleau (operations & total guest satisfaction.So it was critical that this year's event convey a sense of steadying the wheel. "This is a year of focus on stabilization," Wolber told the top agents. The priority in his first seven months had been to refocus and recommit the team to what has made the Crystal brand great for 27 years. "Our crew delivers, and the shore-side team will, too," he pledged. Many agents were meeting Wolber for the first time, and they had gone in with some reservations. "Our first reaction was oh my god, we're getting a guy from Disney," not the most agent-friendly company, Holiday Cruises & Tours Co-Owner Doug Crosby said. He and wife Bonnie first connected with Wolber during the President's Cruise last November. "I came away very confident that the helter-skelter approach that had gone on for two years is done," Crosby told Cruise Week. "I'm very encouraged.We don't want to be in the real estate business or the airline business," he said, pleased that Crystal won't have residences on its (renamed) Diamond-class ocean new-build, and AirCruises has been made a charter product, not a regular operation. "We've been Crystal fans since our first cruise in '94," Crosby said. "We recognize the quality of the operation, the service and the food. We focus on Crystal as our No. 1 line. We were a little concerned for a couple years, but now things are back on track." 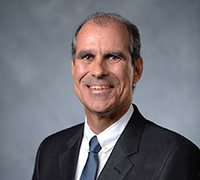 At Disney, Wolber tackled complex assignments, including the launches of Disney Wonder, Disney Dream and Disney Fantasy, and, recently, the presidency of Euro Disney (he was also on the Disneyland Paris start-up team). He's run luxury hotels, a theme park and large retail projects. "He obviously has a lot of experience, and it looks like he's taking a deep dive into [Crystal's] operations and systems," Cruise Planners CEO Michelle Fee said. "Disney, although it isn't considered luxury, does have an amazing brand and a top-shelf product." Fee is one of 13 members of the newly established Crystal Partner Advisory Council, which includes host agencies, consortia, individual luxury sellers and international agents. The board will meet quarterly and have an ongoing dialogue with Roig and her team about travel partner programs and advancements, new-builds and client demand for specific luxury experiences. Roig also announced a Trade Integrity Campaign, details to come. "We want to be a pleasure to do business with," she said. If there has been upheaval shore-side, the shipboard teams still managed to execute in the style that has made Crystal a "world's best" in so many respected ratings, year after year. "One area where there are no issues is hotel operations,” Roig said. “We got it right on board. To honour this on-board team, we need to do equal or better ashore," she vowed. Last year's sales gala featured ambitious plans for the ocean, yacht, river and air products. Subsequently, many things changed, and delivery dates were set back. The uncertainty was unnerving. Alex Sharpe, president/CEO, Signature Travel Network, was reassured by this year's tone. "What gives me confidence with Tom (Wolber) is this kind of measured response. He doesn't want to over-promise. He wants to make sure he over-delivers. He has an operations focus, not pie in the sky," Sharpe said, adding: "That's what I wanted to hear." Sharpe is eager for details about the new Trade Integrity Campaign. "If they could ever match shore-side their operations on board, it would be amazing," he said.